Over time McClintock’s Farm has grown into a unique local business that provides U-Pick Berries, Water Buffalo dairy products, and corn. 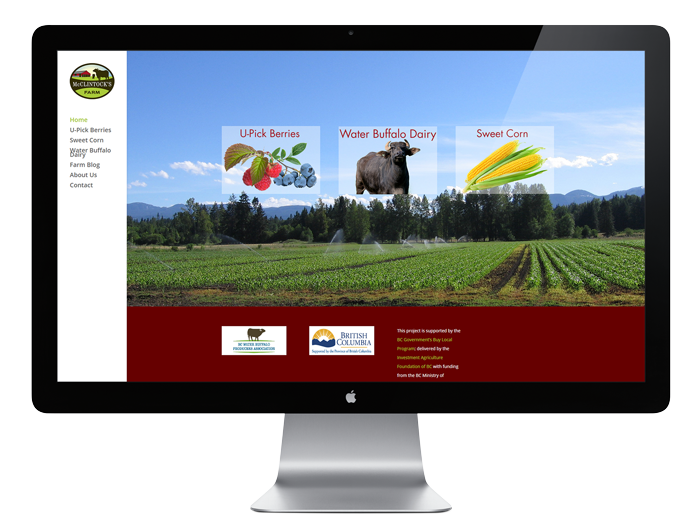 We are grateful to have played a small role in that process and for the support from the BC Government’s Buy Local Program (delivered by the Investment Agriculture Foundation of BC with funding from the BC Ministry of Agriculture). We look forward to our annual berry bounty from McClintock’s Farm.